Websites, Blogs, Mash-ups, Online Identity, Web 3.0 and of-course Web 2.0 are some of the new generation Online Media tools that have become bare necessity for anyone in this world - be it an individual or a big business - everyone needs the web these days to get their work done. What lies beneath is a strong and reliable Hosting Solution provider that hosts all the above mentioned web based applications. 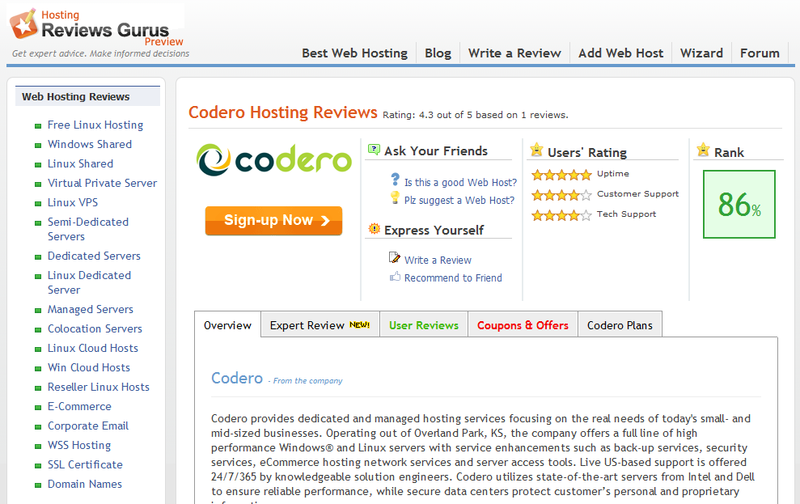 Today we will tell you about one such Web Hosting Reviews portal that provides independent customer and expert web hosting reviews. 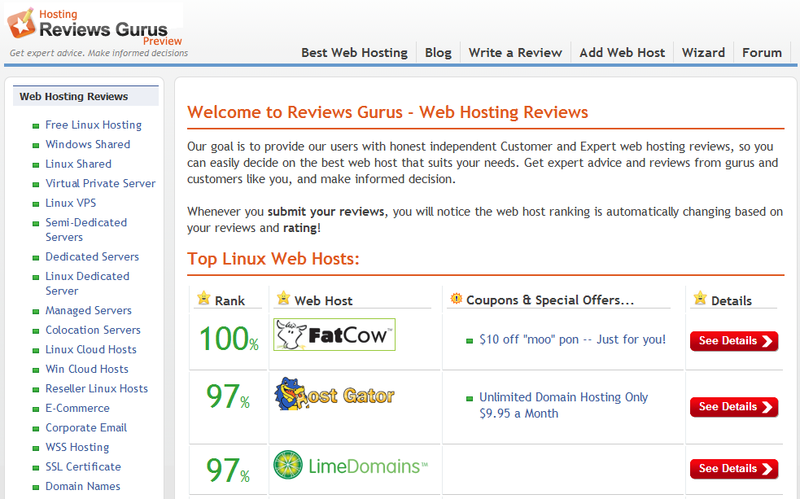 Many good hosting service providers have been listed in each category along with a summary of the review and some discount coupons wherever a discount is available. 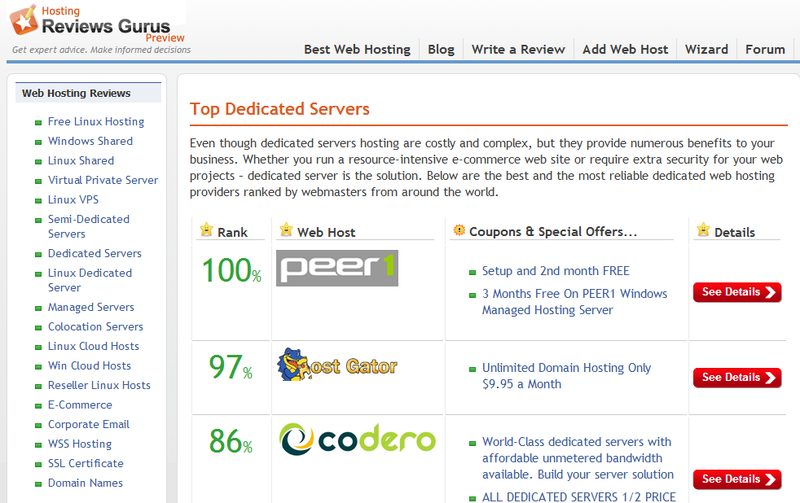 For instance take a look at the image above which lists Hosting providers in the dedicated hosting providers zone. There is also a blog which features expert advice and articles on a wide range of topics such as how to go about choosing a web host for your needs, difference between hosting types and schemes and tips and tricks to get more out of your hosting services. In addition they have also setup a Forum where users can discuss their issues.